NORCROSS, GA - More than 120 artists from nine states attended a one-day Portrait Academy featuring award-winning artist and popular instructor, Thomas Nash on Saturday October 15 at the Pinckneyville Community Center. 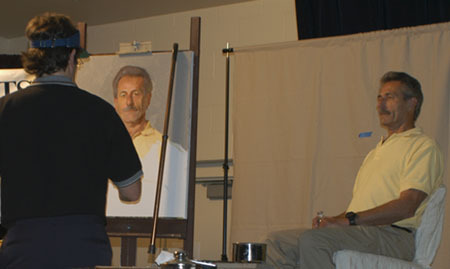 The class provided an opportunity for professional and aspiring artists as well as students to watch a professional paint a portrait from a live model. Nash arranged for two cameras, LCD projectors and two large screens to allow those in attendance to watch every brush stroke he made, while simultaneously watching him mix his paint on his palette. 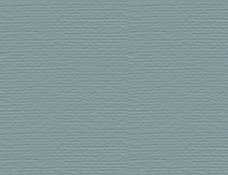 He supplemented these with Keynote presentations (the Mac version of PowerPoint) explaining everything from anatomy, perspective, light and shade and characterization to color observation. In addition to alternating between painting and presentation Nash answered questions throughout the day and at the end in a special 'overtime' period that added up to ten full hours of learning. This innovative approach to painting instruction thrilled and surprised those who came to watch. Bobbi Baldwin, professional portrait artist and teacher Roseville, California was typical of those in attendance with her comment: Traveling from Sacramento to Georgia to hear and see Tom in action was worth beyond every cent spent. His ability to clearly lay out the way in which he thinks, in terms that all can understand, along with his passionate ability to debate methods and techniques with great intellect is what I traveled across the country for. The whole day was a success and should be considered the prototype for all Academies, presentations and demonstrations. The best demonstration I have ever seen. You could see both the painting and the palette. Tom is able to both talk and paint at the same time, and the likeness was awesome. Your workshop was the best I've ever attended, and it was obvious you and Donna had poured many long hours into making it unforgettable. I just wanted to thank you both for such an amazing day. Tom, your demo was terrific. Not only did you nail the likeness, but you also carried on a great teaching narrative at the same time. Not many artists can do both. Also, your video and screen setup worked beautifully. It was so well orchestrated that visibility was never a problem, even for those of us who are vertically challenged. It's obvious that Tom really cares about his students. In addition to registered participants, 19 high school and college art students were able to attend the one-day event on scholarships. Unlike most classes that Tom has offered, this particular opportunity was put on with the help of and under the auspices of the Portrait Society of America, based in Tallahassee FLA.
Ernest Varner, President of the Portrait Society of Atlanta, did an excellent job as emcee for the day and coordinated the door prizes, which were donated by Silver Brush Limited, NASH STUDIO, and Binders Art Supply.